So-called “junk DNA” has fallen on hard times. Once the poster child of evolutionary theory, its status has been increasingly challenged over the past several years. Functions for junk DNA have been cited at other places on this website1 and in the Journal of Creation2. In The Great Dothan Creation Evolution Debate,3 my opponent’s main argument, to which he returned again and again, rested on junk DNA. I warned that this was an argument from silence, that ‘form follows function’, and that this was akin to the old vestigial organ argument (and thus is easily falsifiable once functions are found). 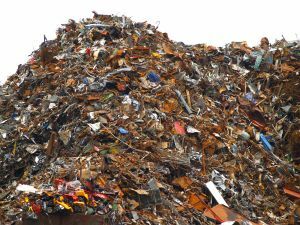 We did not have to wait long, however, because a new study has brought the notion of junk DNA closer to the dustbin of discarded evolutionary speculations. Faulkner et al. (2009)4 have put junk DNA on the run by claiming that retrotransposons (supposedly the remains of ancient viruses that inserted themselves into the genomes of humans and other species) are highly functional after all. Junk DNA is a necessary mathematical extrapolation. It was invented to solve a theoretical evolutionary dilemma. Based on the work of J.B.S. Haldane (Haldane 1957)5 and others, who showed that natural selection cannot possibly select for millions of new mutations over the course of human evolution, Kimura (1968)6 developed the idea of “Neutral Evolution”. If “Haldane’s Dilemma”7 was correct, the majority of DNA must be non-functional. It should be free to mutate over time without needing to be shaped by natural selection. In this way, natural selection could act on the important bits and neutral evolution could act randomly on the rest. Since natural selection will not act on neutral traits, which do not affect survival or reproduction, neutral evolution can proceed through random drift without any inherent ‘cost of selection’.8 The term “junk DNA” originated with Ohno (1972),9 who based his idea squarely on the idea of Neutral Evolution. To Ohno and other scientists of his time, the vast spaces between protein-coding genes were just useless DNA whose only function was to separate genes along a chromosome. Can you see how the idea of junk DNA came about? It is a necessary mathematical extrapolation. It was invented to solve a theoretical evolutionary dilemma. Without it, evolution runs into insurmountable mathematical difficulties. Without Junk DNA, evolution runs into insurmountable mathematical difficulties. To recap for emphasis: Junk DNA is not just a label that was tacked on to some DNA that seemed to have no function; it is something that is required by evolution. Mathematically, there is too much variation, too much DNA to mutate, and too few generations in which to get it all done. This was the essence of Haldane’s work. Without junk DNA, evolutionary theory cannot currently explain how everything works mathematically. Think about it; in the evolutionary model there have only been 3–6 million years since humans and chimps diverged. With average human generation times of 20–30 years, this gives them only 100,000 to 300,000 generations to fix the millions of mutations that separate humans and chimps. This includes at least 35 million single letter differences,10 over 90 million base pairs of non-shared DNA,10 nearly 700 extra genes in humans (about 6% not shared with chimpanzees),11 and tens of thousands of chromosomal rearrangements. Also, the chimp genome is about 13% larger12 than that of humans, but mostly due to the heterochromatin that caps the chromosome telomeres. All this has to happen in a very short amount of evolutionary time. They don’t have enough time, even after discounting the functionality of over 95% of the genome—but their position becomes grave if junk DNA turns out to be functional. Every new function found for Junk DNA makes the evolutionists’ case that much more difficult. One of the important classes of “junk DNA” is retrotransposons, which were thought to be leftovers from ancient virus infections where bits of DNA from the viruses had been randomly inserted into the DNA of humans (for example). The idea that huge stretches of human DNA are useless junk left over from evolution is itself having to be progressively junked. Enter Faulkner et al. (2009). Working in human and mouse, they discovered that between 6 and 30% of RNAs13 start within retrotransposons. Their distribution is clearly not random. This was a shock in itself, but they added that these RNAs are generally tissue-specific, as if there were different classes of retrotransposons involved in regulating gene expression in different tissues. From the start, their conclusions do not seem to support the idea that retrotransposons are evolutionary junk, but it gets better from there. It turns out that retrotransposons coincide with gene-dense regions and occur in pronounced clusters within the genome, emphasizing the non-random distribution pattern. When they occur upstream of protein coding genes, they provide an abundance of alternative start sites for transcription, producing abundant alternative mRNAs and non-coding RNAs. On the downstream end, over one quarter of RefSeq (protein-coding) genes14 have a retrotransposon in their 3’ UTRs,15 and these reduce the amount of protein synthesized. They concluded that these 3’ UTRs are the site of intense transcriptional regulation. This is hardly something one would expect from junk DNA! Based on the distribution of retrotransposons, they identified a whopping 23,000 candidate regulatory regions within the genome. In addition, they found 2,000 examples of bidirectional transcription caused by the presence of retrotransposons (where the DNA is “read” in both directions, not just one direction, which is thought to be the norm). These results are stunning. With genome regulation becoming more and more complicated, and with more and more of the genome being demonstrated to be functional, one wonders how long evolutionists can hold to the idea of junk DNA? However, hold on to it they must, for without it they lose one of their best arguments. But they just lost one of their favorite pieces of evidence: the presence of ancient deactivated viruses in the genome. Rather than being functionless vestigial remnants of our past, retrotransposons turn out to be functionally integrated into the amazingly complex regulatory apparatus of mammalian genomes! 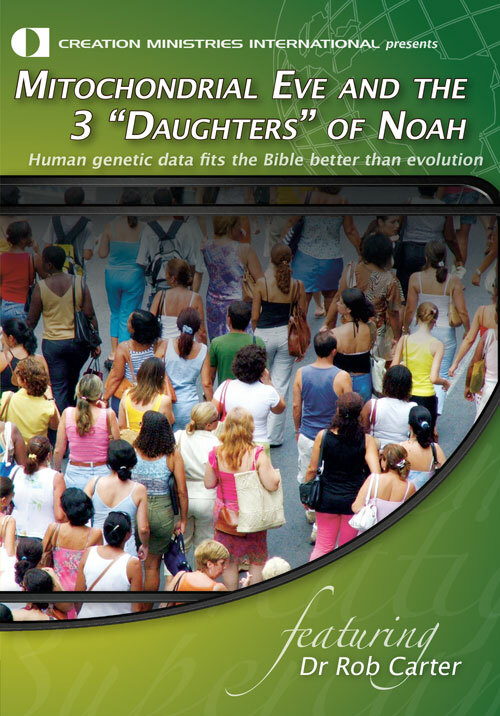 I’d like to point out that young-earth creationists do not require the entire genome to be highly functional. While I suspect that direct and indirect controls of transcription will eventually be found for most of it, there may be very large stretches of the genome that just add temporal structure to the functional parts. Think of them as scaffolding in a three-dimensional genomic skyscraper. Even these portions will be functional (because of a need for structure), though they may not contribute directly to genome regulation, and their sequence specificity might be very weak. We’ll have to wait to see how it all works out in the end. For now, let us take heart that one more weak link in the evolutionary line of arguments has been exposed. ‘Vestigial’ Organs Questions and Answers; see especially No joy for junkies Return to text. e.g., Woodmorappe, J., Potentially decisive evidence against pseudogene ‘shared mistakes’. Journal of Creation 18(3):63–69, 2004. Return to text. The Great Dothan Creation/Evolution Debate; The Great Dothan Debate; Return to text. Faulkner G.J., et al., The regulated retrotransposon transcriptome of mammalian cells. Nature Genetics 41(5):563–571, 2009. Return to text. Haldane, J.B.S., The cost of natural selection, Journal of Genetics 55:511–524, 1957. Return to text. Batten, D., Haldane’s Dilemma Has Not Been Solved. Journal of Creation 19(1):20–21, 2005. Return to text. Batten, D., The Biotic Message: Evolution versus Message Theory. Journal of Creation 11(3):292–298, 1997. Return to text. 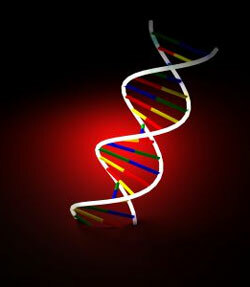 Ohno, S., So Much “Junk” DNA in our Genome. Evolution of genetic systems. Brookhaven Symposia In Biology, no. 23 (Smith, H.H., ed.) pp. 366–370, 1972. (available at www.junkdna.com/ohno.html) Return to text. Varki A. and Altheide T.K., Comparing the human and chimpanzee genomes: searching for needles in a haystack. Genome Research 15:1746–1758, 2005. Return to text. Demuth J.P., et al., The evolution of mammalian gene families. PLoS One 1:e85, 2006. Return to text. According to the Genome Size Database (http://www.genomesize.com), the human genome size (reported as "C-value", a unit of weight that is [theoretically] directly proportional to genome size) is 3.2. Chimp C-values have been recorded as 3.46, 3.63, 3.76, and 3.85. They all indicate the human genome is smaller (8–17%). Return to text. RNAs are an intermediate step between DNA and protein. They are manufactured from DNA via the process of transcription. Not all RNAs are turned into protein, however, as they serve a myriad of other functions in the cell. Return to text. A standardized catalog of protein coding genes. www.ncbi.nlm.nih.gov/RefSeq/ Return to text. UTRs (“untranslated regions”) are portions of mRNA that are not translated into protein. There are generally two UTRs per mRNA transcript, one at each end. The 3’ UTR is on the downstream end, after the protein coding portion, and generally contains a termination signal, a polyadenalation signal, and other features. Return to text.